Super Colon Cleanse is manufactured by California based Health Plus Inc. They have been in business for about 15 years and seem to have a good reputation in the industry. They have an informative company website which details the range of products they make, plus articles on health related matters. The company also has a lengthy and helpful FAQ section. Super Colon Cleanse is one of several cleansing products from Health Plus Inc. 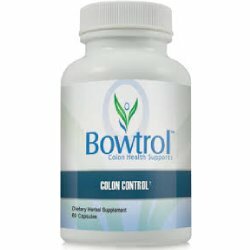 It is the top selling product on a number of online health retail stores and is ranked amongst the top 25 best colon products on Detox Review.com. As with most other products of a similar nature, Super Colon Cleanse has not been evaluated by the FDA. This product has a few, simple ingredients, mostly designed to add fiber and increase elimination in the user. 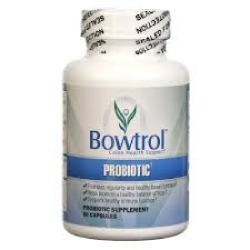 The top ingredients are psyllium husk fiber and senna which both have a laxative effect. Some users find senna quite harsh and is not designed for prolonged use. Among the other ingredients listed are fennel, peppermint, papaya, celery and buckthorn bark (for which there is a warning on the label) plus acidophilus. 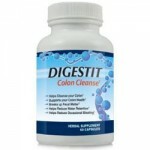 It is this last ingredient that restores the cleansed colon with the good bacteria it needs to maintain healthy flora. Iron is also contained in the product, which will make it unsuitable for some users. Health Plus Inc. provides a detailed description and explanation of each individual ingredient. The dosage for Super Colon Cleanse is 4 capsules, 3 times a day. Due to the amount of psyllium husk, the manufacturers recommend it is taken with at least 10-12 oz of water, juice or other liquid. This product is one of the few that can be taken by children over the age of six, providing that the dose is halved. The product also comes in powder form. The product is at the lower end of the price range for colon cleansers. A bottle of 120 capsules costs approximately $10.99, but will very depending on the retailer. All the ingredients are natural, though some users will want to avoid the senna contained in the product. Health Plus Inc. has a good reputation. Super Colon Cleanse has received good independent reviews. There are no gimmicks or outlandish claims attached to the product. The instructions are easy to follow with no complicated charts or schedules to follow. Some consumers have felt that this product is nothing more than a regular laxative. 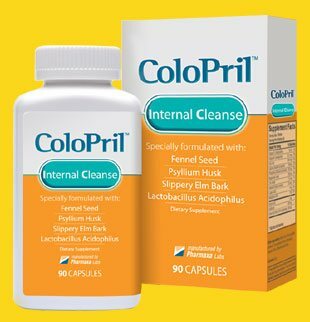 Some reviews reported that apart from a slight increase in elimination, the product was not an effective colon cleanser. There are no clear available money back guarantees or information on return purchase policies. There is no denying that, judged by online reviews, Super Colon Cleanse is a good product. It contains roughly the same ingredients as many of the other colon cleansers on the market, even those which make claims of fantastic weight loss and super health. However, if the consumer wishes to avoid either the senna or buckthorn, it may be just as effective for them to take a laxative which contains psyllium, such as the readily available Metamucil.